Our Office 365 cloud migration unleashes a swathe of tools that enhance learning: anytime, anywhere. Our girls will collaborate on projects: in classrooms, in prep and and beyond, regardless of whether they are using mobiles, tablets or desktop PCs. No Office apps installed on a device? No problem. Web versions of the apps allow girls to access work on practically any connected device. There’s no more need to purchase Office 2016 either, as every girl has 5 concurrent licenses to ensure she has up-to-date versions of the tools she needs to study on all of her personal and home devices. Teachers have new ways to share information with their classes. Preps can become interactive, discursive and collaborative. As one girl commented recently, ‘that prep was like a lesson in itself’. Parents will be safe in the knowledge that their daughters’ information will be protected and secured within the confines of the Microsoft platform. Microsoft’s excellent privacy settings are free from advertising and compliant with current legislation. 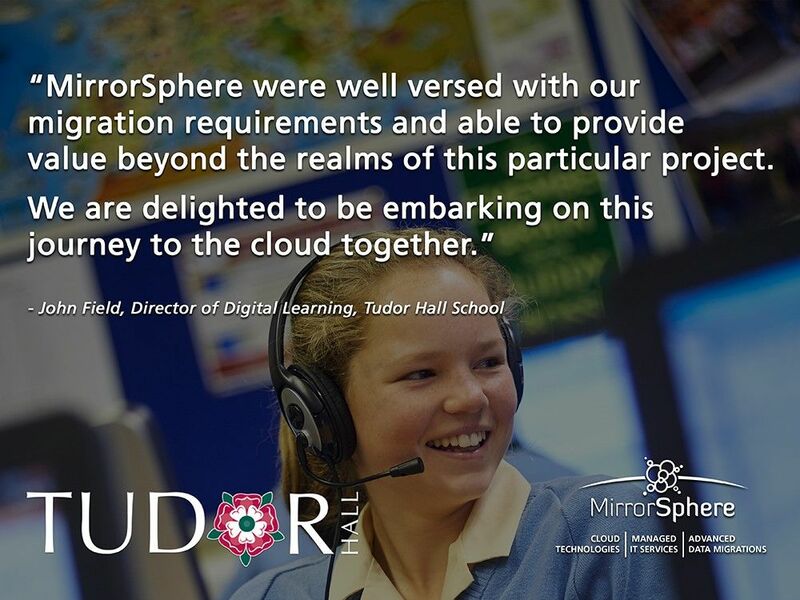 MirrorSphere were approached to tender for the opportunity to migrate all faculty staff and students to Office 365 and were awarded the project based on proven expertise in the cloud migration space.